We Specialize In Commercial Services. Are you looking for a company that offers commercial services that are dependable and high-quality? At West-O-Plex Air Conditioning and Heating, we have dedicated ourselves and our technicians to making sure that you are always given the highest quality service that you can be satisfied with. As a family owned and operated company, we have built this team from the ground up and because of that, have a better appreciation for our customers and what it means to be loyal. Whether you need to have a rooftop HVAC system installed or need central air conditioning throughout your building, we have the experience and expertise to do that for you. We can put together a maintenance plan that works for you and your needs so that you don’t have to remember to change your filters all the time or check on your air conditioning unit, we will do that for you. Every commercial building will have some trouble with their HVAC unit at some point; we want to be there to help when you do. 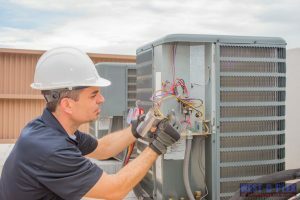 When you need commercial A/C & heating services in Fort Worth, TX and surrounding areas, dial 817-244-2511 and one of our experienced HVAC technicians will set up an appointment time that works best for you, to come out and see what is going on. If you are looking for a specific brand, we can help you find it or can recommend a few that we would choose. One of the most common problems we see is when commercial HVAC systems have not been maintained. It is important to make time to switch out your filters and have your units checked. This will allow them to last as long as they should and catch any problems before they get worse. When you get preventative maintenance done, it will allow all of your HVAC system to be looked at. Depending on the type of building you have and how many people are working there, you will need to make sure you are changing your filters regularly. You can ask one of our technicians how often you need to change them and what kind of filters you should get. An air filter is what catches all of the dirt, dust, hair, and even bacteria that is in the air. It helps keep your machines running at their best and keep the air in your space clean as well. A machine will not work correctly of the filters are not changed. Making sure that the airflow in the building is flowing correctly is very important. When we do our inspection, we can make sure that there are no vents that are blocked and that everything is flowing correctly. We want to make sure that you are getting the most out of your venting system and that there are no areas that are getting more airflow than the others. If you have rooms that are not getting as cool or warm as the others, we need to make sure that is corrected as soon as possible. Protect Your Rooftop Unit With a Maintenance Plan. No matter what you plan to do with your commercial building, our professionals will be able to help you get it done the right way. 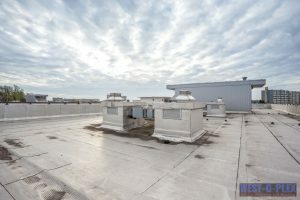 We offer many commercial services that range from rooftop HVAC units to installing new mini-duct systems. Some companies will not go on rooftops or that type, but we do it all. Rooftop HVAC units require special attention because they take a lot of the brunt of the weather outside. Because they are in a place that is not often used, maintenance for them can often be looked past. Make sure that you are checking on them from time to time to see if any damage has been done or call us, and we can come out and take a look for you. Another great commercial service that we offer is duct cleaning. Ducts get clogged with things like dust and dirt and are not able to be seen because they are out of the way. The problem is that when ducts become clogged, they are not able to work properly or as efficiently and it will end up slowing your machine or raising your energy bill. Over time, this can affect the overall air quality and will need to be done to maintain a healthy workplace. Choosing a company like West-O-Plex Air Conditioning and Heating, will allow you to be treated like family instead of just another client. We work hard to keep your commercial buildings running the way that they should so that you don’t have to worry about it later. All the commercial services that we do will allow us to tune up and check your system to avoid further problems and complications that could lead to an early replacement. When you are running a business, that is the last thing you want to be dealing with. When you need high-quality commercial A/C and heating services in Fort Worth, TX and surrounding areas, make sure you call our experts at 817-244-2511 and get us out to you right away. Updated on January 10, 2019 at 3:45 pm by West-o-plex.